If you experience problems with playback, like broken sound - probably the playback buffer is not large enough. Here's the solution. 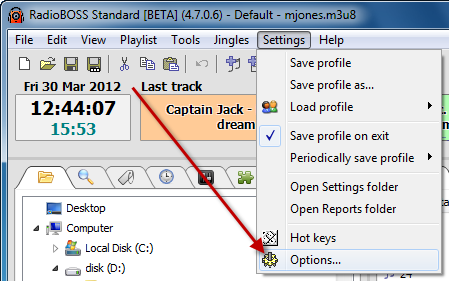 3) The sound card settings window will appear. Change the buffer size to 500ms or 1000ms. 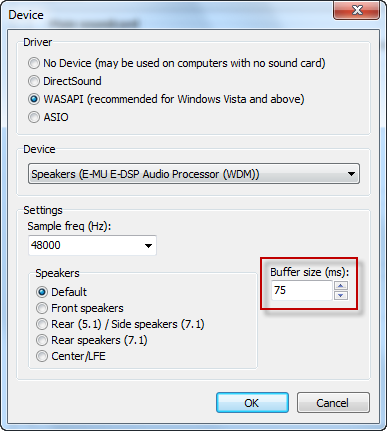 Increasing buffer size will increase playback latency - after the problem is solved, you can try lowering buffer size gradually until sound becomes broken again. Legal ID's not playing at the top of the hour. Also, is there a way to prioritize different tracks in the playlist. Some songs don't need to play as often. To play ID's you should use scheduler: create event which will start at the hours you need. Track priorities are not available yet. 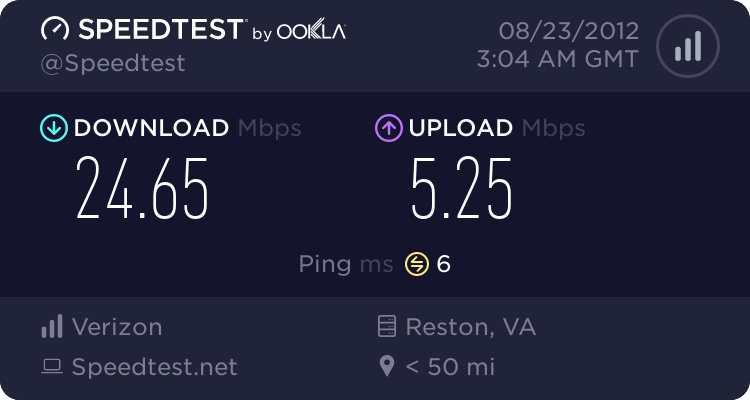 This is my speed test after only roming one port to an outside host server for shotucast. 1. On the device page, shown inyour screnshot, do i keep it at "wasapi" or change it to "ASIO"? Whats is best for my sound card. 2. Also, my current dfault buffer size it set to 50, should i increase to 75? On my other support post i had issues with playback because of the multiple port streaming at different sample rates, but i reduced it to one and the play back and buffering to listeners is better. What do you recommend with the specs that have? 1. You can use either one. ASIO provides low latency - lower, than WASAPI. If there are any problems with WASAPI you can switch to ASIO and vise versa. 2. I think you can leave it at 50ms, your computer specs are more than enough for this. I am having a problem with clicks and such. I tried following the directions in this post, however I get seem to get the option to increase the buffer as I have a asio selected. Also, I did get the mic working, but when I hit the mic button, I can hear my voice , but the music gets real loud for like a second then to a normal level. Sometimes its smooth, then other times I hear clicks. Would that have to do with the playback buffer? 2. Download and install the latest drivers for the sound card. Also install the latest RadioBOSS release (4.9.1). 4. Try temporarily disabling (or, better, removing) anti virus software - sometimes AV software causes sound problems. 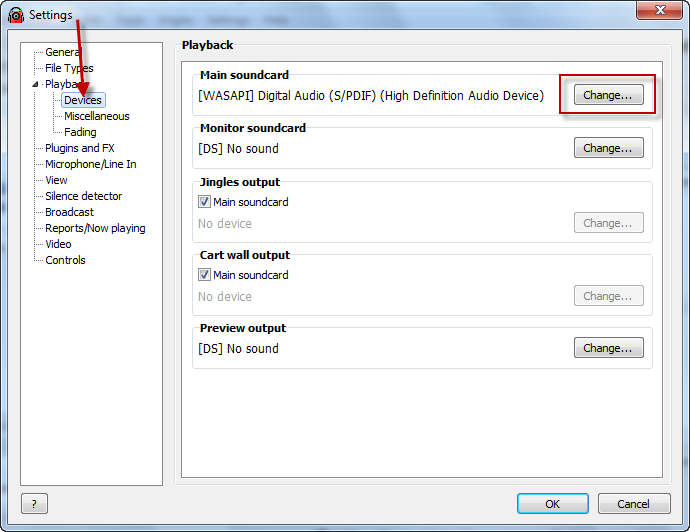 Also please post playback and sound card settings window screenshots - maybe something is incorrectly configured. Never had any hang problems with previous versions but now with the new version I have hangs constantly when I click on any icon. I reset the buffer as suggested in this thread but I still have problems with RadioBOSS freezing for about 10 to 30 seconds before the popup box appears. What does the popup box say, is it an error message? If so, and if it has the Details button - please send the bug report, we'll investigate the problem. When I wrote "popup box" I meant the box of the icon I clicked on. Sorry for any confusion. So, if I click on the gear icon it freezes the screen, the song lags and sometimes stops before the opening. It could take up to 30 seconds before it opens. Do you say that it takes a lot of time to show the settings window? If so, does it happen all the time, or only occasionally? Unfortunately all the time. It is not just the settings, it is all the icons including the MIC button. All the time. That's really odd. Can you please make a video of the problem? It should help us to identify the problem. I have a question Why suddenly the playback volume decreases? I have RadioBOSS configured with "WASAPI".